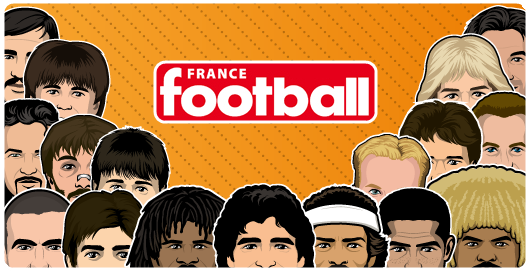 Yesterday I read this topic on the excellent website : footballspeak.com. I agree with the top ten of the author, James Burn but I thought it missed something. 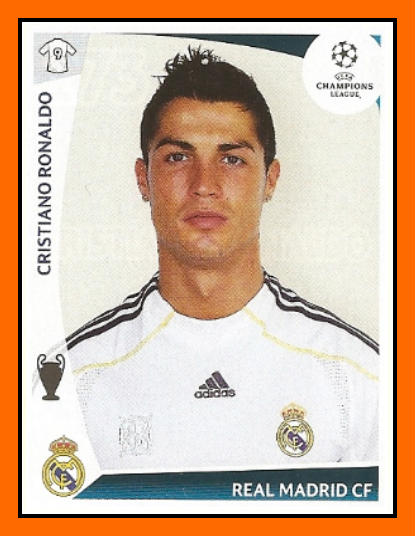 Some Panini stickers, so this is my contribution fot this excellent paper from march 2012. James Burn compiled a list taking into account a number of factors. These factors are how long the player has spent in La Liga, their impact on the league as a whole, there goal scoring record and lastly their overall ability. One of the finest African players to have played the game, and has the most appearances in La Liga for anyone from the continent. A fiery character on and off the pitch, which has been reflected in his playing style, with his explosive pace, powerful finishing and particularly at Barcelona a great work ethic in pressurising unsuspecting defenders. Anyone who has won the Copa del Rey twice with both clubs, three La Liga titles, the Pichichi once and is the all time top scorer for Mallorca, deserves a mention on this list. 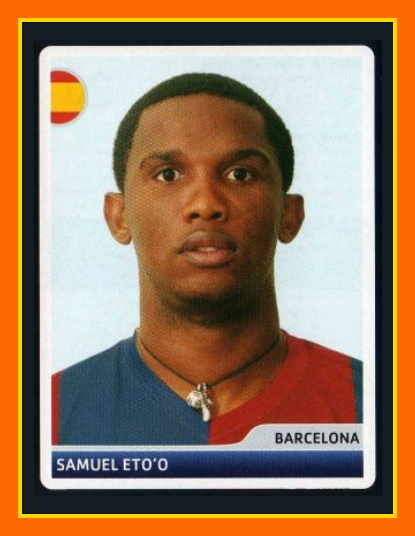 12th on the all time top La Liga scorers list (a place above Eto’o), Villa initially started out as the classic centre forward hanging on the last defender and using his blistering pace and deadly accurate finishing. Initially judged to have been too short by Real Oviedo to make it as a professional, he was snapped up by his boy hood town Sporting Gijon and hasn’t looked back since. An absolute star at Valencia and was one of the best Strikers around at the time, he has since had to adapt as being one of the ‘other guys’ in the outrageously talented Barcelona team. Spain’s all time top scorer will be remembered as one of the greatest ever in Spain, and although not the main man now at Barca, the move has stretched his honours list substantially. Winner of the Zarra trophy 4 times, it is nothing short of a miracle that he has never won the Pichichi. Branded ‘El Fenómeno’ by the Italian press during his time with Internazionale, he is one of the most gifted strikers of all time. Who knows what sort of records could of been broken by Ronaldo had he not gained weight and lost fitness like many of the Brazilians. Scoring 34 goals in 37 appearances in your first La Liga season with Barcelona and winning the Pichichi is not bad going. He became unhappy and left for Inter before coming back to the league with Real Madrid in 2002. This sustained stint in La Liga was a flash of great finishing, pace and skill. His ability to beat a man with his trademark step over’s was sublime to watch. Pichichi winner twice with both the big two and a sole title in the stuttering galactico era at Madrid, ‘El Fenómeno’ at his peak will be looked back on as one of the greatest ever. The finest footballer to come out of Hungary, it is unfortunate that in the time of some of these great players we didn’t have the television footage and media attention that we have now. Puskas scored 157 times in 182 games for Real and has the ridiculous all time club record of scoring 509 goals in 523 games, not to mention 84 in 85 games for Hungary, quite a record. Primarily a classic goal poacher, but capable of skilful drag backs and jinking runs. His 8 years service to Real Madrid handed him the Spanish title 5 times in a row with 3 European titles. The finest Eastern European player ever to play on Spanish shores. The second highest scorer of all time in the top tier of Spanish football probably deserves a place on the list. This highly talented goalscorer had a wand of a left foot scoring fantastic free kicks and was capable of putting the ball in the net in near impossible scenarios (think Javier Hernandez header against Stoke but on a regular basis). Sanchez completed a degree in dentistry while pursuing a career as a footballer, but once he made it with Pumas de UNAM in Mexico, he was recognised by Atletico Madrid and crossed the Atlantic to represent ‘Los Colchoneros’ averaging a goal every other game. He then made the controversial move across Madrid to wear the shirt of their fiercest rivals. 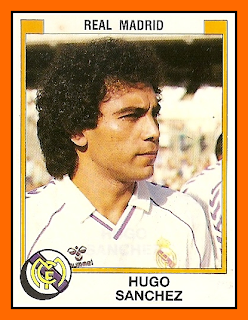 He went on to win 5 league titles in a row and add 4 Pichichi’s to the one he obtained at Atleti. The finest player to come out of Central America then went on to manage at clubs in Mexico as well as the national team before a short spell at Almeria. If you were to watch Ronaldo’s career so far you would be forgiven for thinking this might be the greatest player of the modern era, if it wasn’t for that small Argentinian package from Barcelona. A powerful athlete who can dribble, pass, head, shoot from long range, has a great range of passing and possesses outrageous skill. When Ronaldo does hang up his boots, he will be remembered for steam train runs beating a number of players and usually finishing with a powerful effort past the keeper. He is at the peak of his career and is becoming a better player with every season. It maybe the fact he is competing with Messi that it is improving him, particularly as a team player. It is a mean feat to achieve the goals record the Portuguese star has so far, not to mention being the current stand out player at the most successful club in La Liga history. It will be interesting to see how Ronaldo adapts when his athletic abilities wane (particularly his pace) later on his career, and he will have to improve even further as a team player. He has already marked himself down as one of the greatest players ever with a staggering 95 goals in 87 appearances, and he is only 27. The honorary president of Real Madrid was nicknamed the ‘Blond Arrow’. His peers voted him the 4th best player ever, only behind Pele, Diego Maradona and Johan Cryuff in a poll of Ballon d’or winners, in France Football Magazine. His power, stamina and vision meant he could play anywhere on the pitch, but he was most productive as a goal scorer, using his tactical awareness to gain an advantage on the opposition. 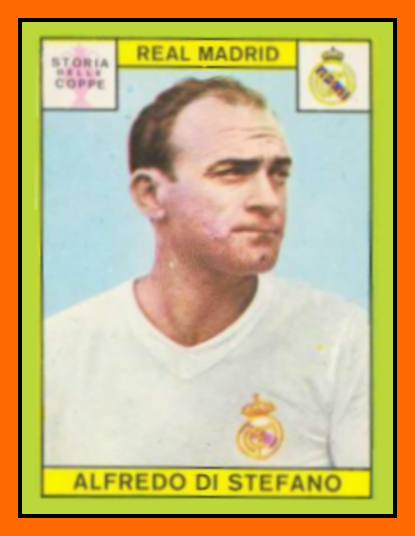 Di Stefano effectively signed for Barcelona in 1953, however River Plate and Millonarios (Colombian Club) both owned some of his playing rights. In controversial circumstances the directors at Barcelona undermined both River and Millonarios, by holding reservations on the fee to be payed for the player. So despite flying to Spain to conclude a deal with ‘Los Cules’, the Real Madrid president Santiago Bernebeu swept in and convinced the player to sign for them. 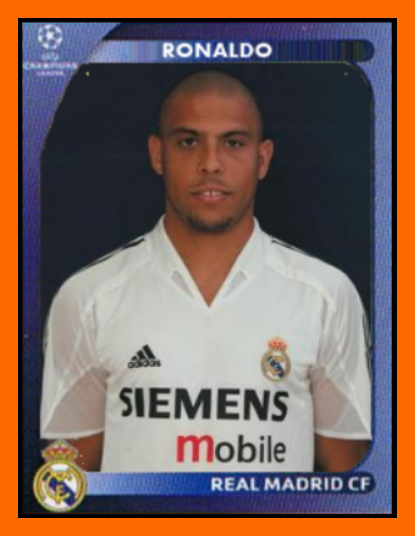 Despite this, the Spanish Federation ruled the player had to represent both clubs for four years for alternate seasons, but he played the first season with Madrid and stayed for his incredible 11 year period. 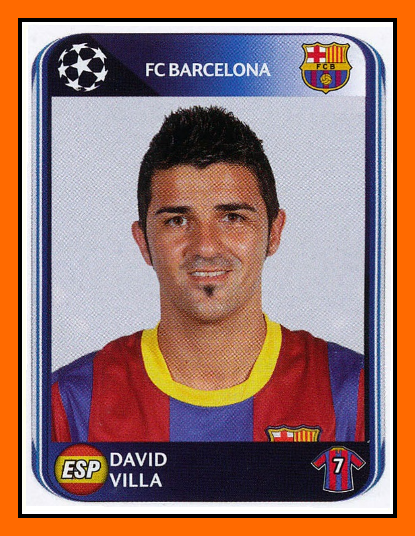 Barcelona to this day insists the player was supposed to have signed for them. Despite this remarkable controversy, Di Stefano went on to become a Real Madrid hero winning 5 Pichichi’s, 2 Ballon D’or’s, 8 La Liga titles and a Copa Del Rey, a remarkable player. The ‘Blond Arrow’ as mentioned previously was Real’s record goal scorer, which was until Raul concluded his career with the Spanish Giants. 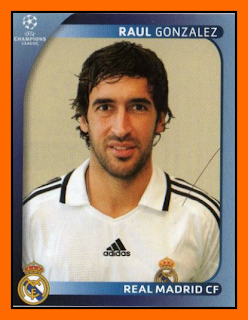 Raul supported Atletico Madrid as a youngster as did his family, and represented their youth team until it was closed as a cost saving measure by their president. What a mistake that proved to be for the ’red and whites’. Raul is not the explosive, exciting player that current Real Madrid favourite Cristiano Ronaldo is, but what sets him apart is his intelligence. Some players are gifted with this trait, and when used in tandem with great skill and finishing, it can make players which are a cut above the rest. Arsenal fans worshipped Dennis Bergkamp at Highbury, imagine how adored he would have been if he had come up through the youth teams and was English. That is the adoration the Real Madrid fans have for Raul. Raul’s 18 year stretch at Madrid made him the Clubs all time leading scorer, surpassing the record of a player who has been voted the 4th best player ever. His movement and genius finishing gave him a record of 228 goals in 550 appearances. You might think that his ratio is nowhere near the likes of C.Ronaldo or Lionel Messi, but his consistency across a period of 18 years is unrivalled in Spain. A traditional striker at a time before there was such a thing as a false number 9, he did not have as much physical protection from lumbering defenders as the current crop of strikers have. The third highest scorer in the history of La Liga won 4 Zarra trophies, 2 Pichichi’s, 6 La Liga’s and is also the all time leading scorer in the Champions League. Raul is a player of the highest calibre. What more is there to say about this mesmerising player? Born on the streets of Rosario with a deficiency in his growth, Barcelona ‘dilly dallied’ when agreeing to pay for his growth hormone treatment, but in the end a few nudges in the right place by some key names in Barcelona, managed to convince the president to put pen to paper (they didn’t want another Di Stefano scenario with Real Madrid lurking). 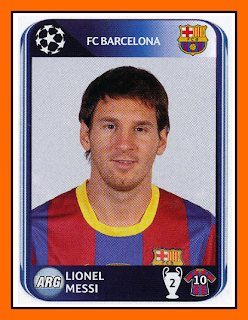 Messi flourished in ‘La Masia’ along with Cesc Fabregas and Gerard Pique. The coaches realised that this 5ft 6 package was going to be a special player. He shot up through the age groups before making his debut for the first team at 17, against Catalan rivals Espanyol. Rather than bore you with all the things which Messi is good at, it is probably less time consuming to talk about his faults. All I have come up with is that he could be a little taller, and despite that he can head the ball as good as any other attacking player in the game. Just look at the guided header he scored against Manchester United in the Champions League final in 2009. The game maybe dominated by money and we would maybe like to see less haranguing of the referee and card waving, which is unfortunately more prominent in Spanish football. Messi however is a football gentleman, who is kicked and stamped on constantly, dusts himself down and either scores, provides and assist or an unbelievable piece of skill. He plays with pride and passion in the strip of Barcelona and is a role model for any aspiring footballer. Although not number one on this list, he is without doubt the greatest player on the planet at the moment and in the future maybe he will be judged the greatest of all time. It may come as a surprise (especially to those of the younger generation) that anyone could top the likes of Messi, Cristiano Ronaldo and Raul. However when you hear some of the stats behind the all time leading scorer of La Liga, you may sympathise with the choice. 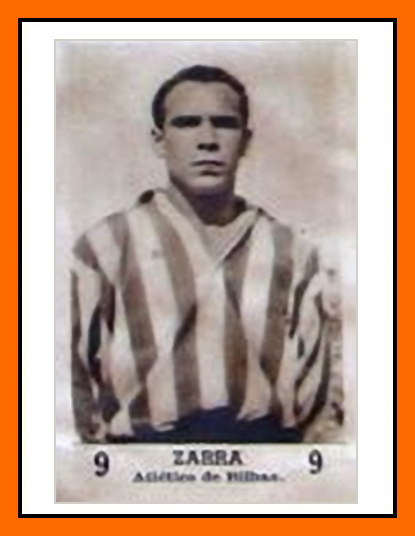 Telmo Zarra was one of ten children, two of his five brothers both played football, allowing him unlike the other children of his age to have access to a real ball (not rolled up socks or newspaper!). This allowed him to develop a great skill level and was able to manipulate the ball like no one else. He was so highly skilled he was often too timid to play to his capabilities as he was embarrassed, leading to his nickname ‘Telmito the fearful’. This timid Basque boy who grew up in the small town of Erandio was eventually snapped up by giants of Basque football Athletic Bilbao (in the process of reforming post civil war), and this was where his career accelerated to unimaginable heights. 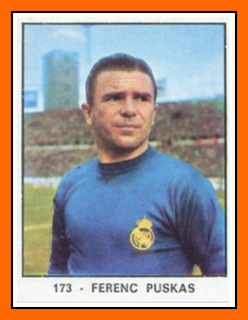 His 15 year stint at ‘Los Leones’ brought him 6 Pichichi’s, 5 Copa Del Rey’s and 1 La Liga title, and the magazine ‘Marca’ named a trophy after him the ‘Zarra Trophy’, for the top Spanish league scorer each year. Who knows whether the modern day powerhouses of Messi and C.Ronaldo will surpass his La Liga goals record (Messi is currently 104 goals behind), but Zarraonandia was a player far ahead of his time with his movement, trickery, ball manipulation and unrivalled finishing. It is just a shame there is not more footage of the greatest goal scorer in La Liga history.